HubSpot CRM Advanced Analytics powered by Zoho Analytics, empowers you with deep sales analytical capabilities over your data in HubSpot CRM. It enables you to keep track of your key sales performance metrics and optimize your sales execution. This integration comes with over 60+ handpicked reports and dashboards. 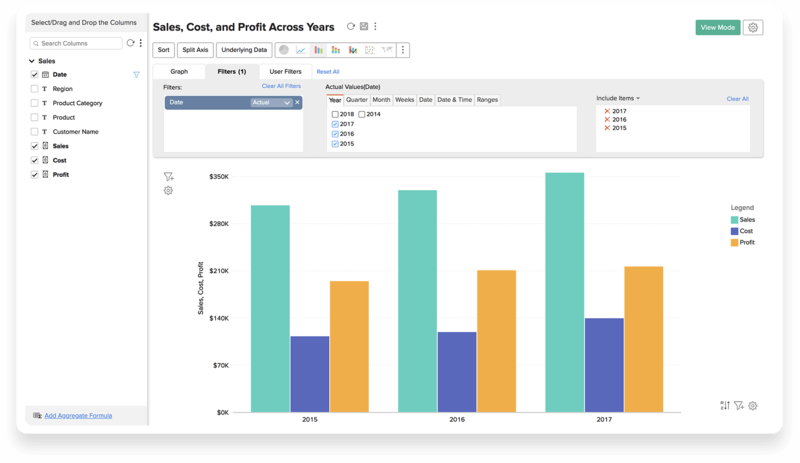 You can also create your own insightful reports to track your sales pipeline, visualize your sales conversion funnels, measure sales team performance, forecast your sales and do much more. This integration requires both Zoho Analytics and HubSpot. Learn more. Slice and dice your HubSpot data. Slice and dice your HubSpot CRM data any way you want. Zoho Analytics has a drag and drop design interface, and you can create any report you need yourselves. Access reports on the go. 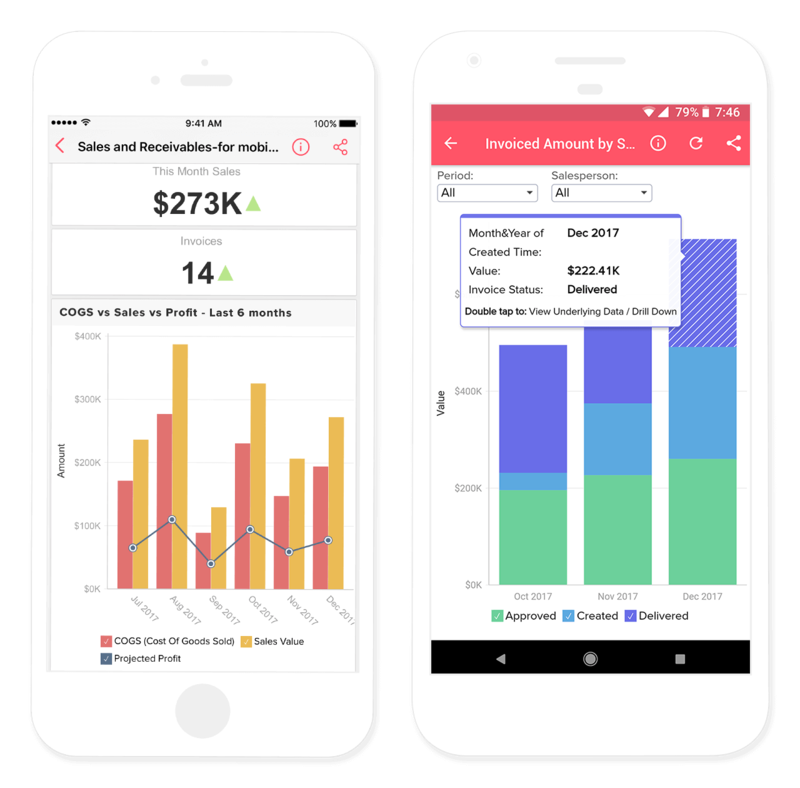 Zoho Analytics provides apps for iOS and Android. You can access HubSpot dashboards and reports anywhere on mobiles and tablets. Helps you visually analyze and get actionable insights out of your HubSpot data. 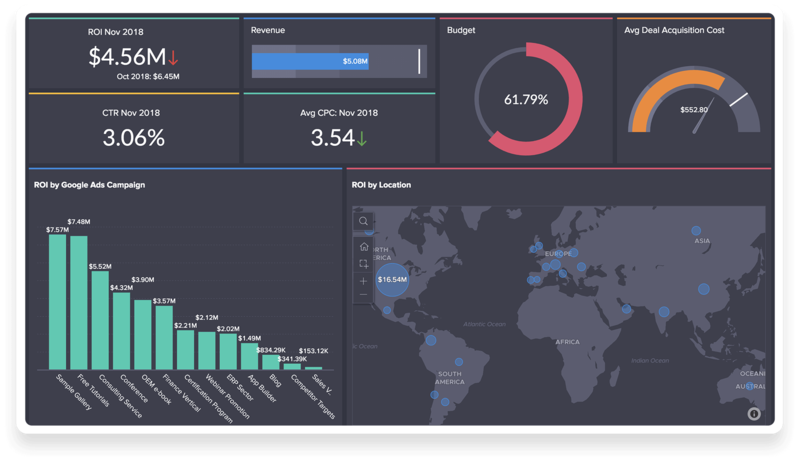 Provides dashboards to track important KPI metrics at a glance. Allows you to blend HubSpot data, with data from other sources.